Robert Morris University’s online Bachelor in Cyber Forensics & Information Security Degree ranked #6 of “The 12 Best Online Bachelor in Information Assurance & Security Degree Programs” by TheBestSchools.org. 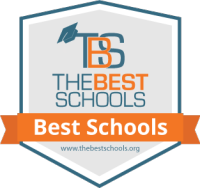 TheBestSchools.org selected RMU’s program based on several weighted factors, including academic excellence, course offerings, faculty strength, and reputation, including reputation for online degree programs. Comparable programs that were compared to RMU cover similar subjects such as data protection, software security, hackers, Internet security, network security, network and computer forensics, security infrastructure design, e-commerce, and telecommunication systems. The programs also cover ethical and legal responsibilities. This entry was posted in awards and recognition, cyber forensics and information security, faculty, in the news and tagged BestSchools, online programs on March 3, 2016 by Dr. Jamie Pinchot.